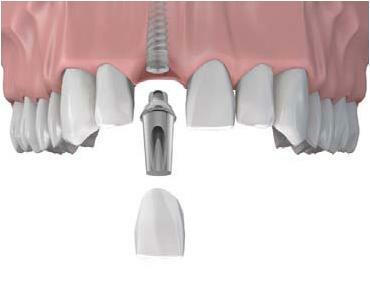 Dental Implants are the best thing to happen in dentistry! Simply stated, dental implants reconnect people with what they’ve lost. Youth. Self-esteem. Confidence. Function. Happiness. The joy of kissing! Replacing missing or damaged teeth can reconnect with you with the real you and can also greatly improve your general and oral health. 30 million Americans have missing teeth. That’s one out of every four drivers on the road. If you have missing teeth due to injury, disease, or decay, dental implants may be a wonderful solution. With dental implants, the bone forms a bond to the implants and functions as natural tooth roots – providing a solid and permanent foundation for biting and chewing. Additionally, there isn’t any pain with implants because there aren’t any nerves in the bone. 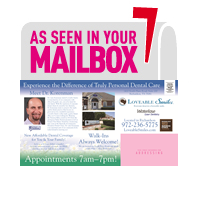 Have you lost a tooth or teeth due to periodontal disease, an injury, or some other reason? Do you want to improve your appearance? Do you want to brush your teeth once again without having to deal with the embarrassment of removing your teeth? Do you want to return to the comfort and function associated with natural teeth? Is your diet restricted to softer food items? Do you want to speak without difficulty? Do you think twice before smiling? Dr. Korenman of Loveable Smiles has invested in the advanced technology of a dental CAT-scan x-ray machine that provides 3-D information including whether there is enough bone for long-term function and stability, the location of nerves, and sinuses and helps determine if implants can be placed safely and predictably. With the advances in implant dentistry now available from Loveable Smiles, you can soon be eating what you want, when you want and where you want. Your facial muscle tone will be restored. You’ll put 20 years of life back in your smile. You’ll regain the self-confidence and quality of life you lost when you lost your teeth. For more information, please call Loveable Smiles in Richardson at (972) 231-0585 and schedule a complimentary consultation. You can also read more about Dental Implants on our blog, here.